Sometimes when we hear a word that hurts our feelings, we don’t know how to articulate the words to explain why something is offensive, why it hurts, and why it should stop. I’ve been in this situation myself. My emotions can jam up my mind leaving me without words, and worse, the person who used the offensive word claims I am being too sensitive. That simply is not the case. 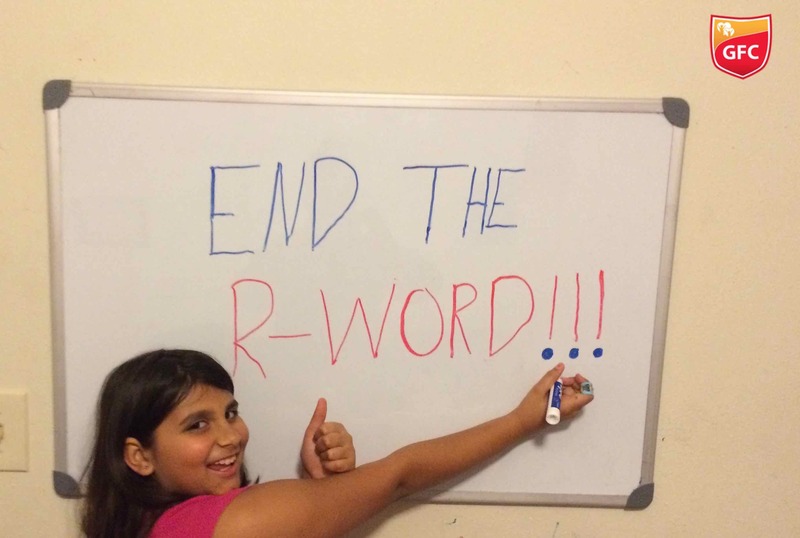 Because of situations like this, I wanted to offer a clear and concise argument that can be used at any time the r-word may appear in your lives. People-first language makes language a tool, instead of a hindrance, that works for the people, instead of against the people. "Everyone has a gift and the world would be better off if we recognized it." - Timothy Shriver, Chairman of Special Olympics. So there you have it, friends—a quick reference of talking points when creating a dialogue about the hateful and hurtful r-word. If we all open up this dialogue, then it is not a world far-off that we will be living without the existence of destructive language. Please share to spread the message! Follow Giving Foundation for Children for more inspiring and touching stories like above! Giving Foundation for Children provides a support platform for children with special needs.